Clansman has a wide range of specifically designed and robust foundry solutions. For more information on Clansman Dynamics Foundry Machinery please contact us directly. There are hundreds of manipulators in operation around the world and if you talk to the users they will invariably say that they do a great job, save labour, increase productivity, improve safety and improve working conditions – but they always break down, cause stoppages and cost too much to maintain. Clansman Manipulators are very different by design! Every piece of the machine from the main control card (where there are no relays) to the main vertical boom (where a steel casting is used to avoid fatigue cracks in welds) to the rotating hydraulic joint in the wrist (which allows all hoses to be kept inside the wrist structure) has been analysed and reanalysed so that we obtain a long life. Long life means 10 years on 3 shifts a day with a cycle every 6 seconds – that is a ferocious duty of 40,000,000 cycles, requiring very precisely calculated stress levels. The range of applications for Clansman Manipulators is continuing to grow and now includes manipulators with a true 20t capacity, the range of applications and examples of their is wide and varied and examples can be given on request. When Clansman build a manipulator it is selected for the specific duty taking into account the frequency of operation the loading and the stresses. It is never good to work a machine at the top level of its stress envelope, therefore all Clansman machines work well within that envelope. The Clansman range of Cannons are used to blast risers and gatings from castings. They can be mounted on a crane hook, operated by a man or computer system – or for maximum flexibility mounted on a Clansman Manipulator. Users of traditional impact hammers were satisfied with the function but not the reliability of hammers. Competitors’ hammers disintegrate during use, particularly when mounted on a manipulator. 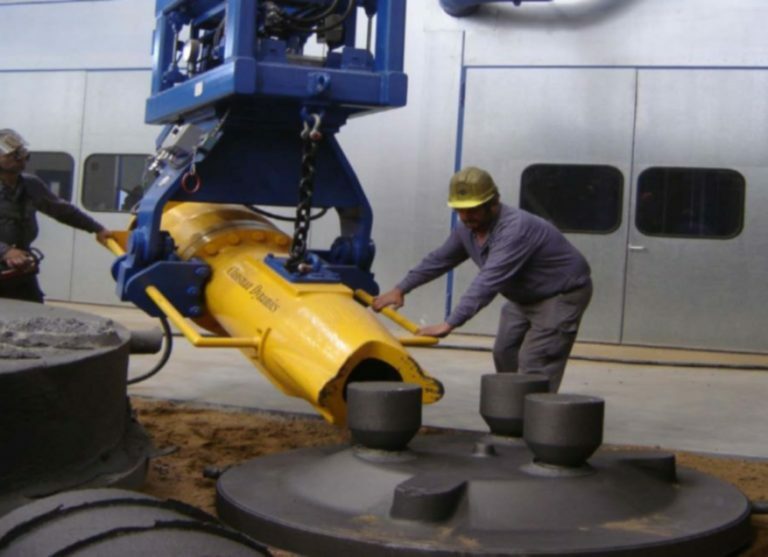 Clansman Dynamics apply the same demanding design criteria to our range of impact hammers as to our Manipulators. A single piece forged impact head is the logical way to avoid problems with either welds or bolts becoming loose. Designed to operate at 6 BAR but rated to 10 BAR. 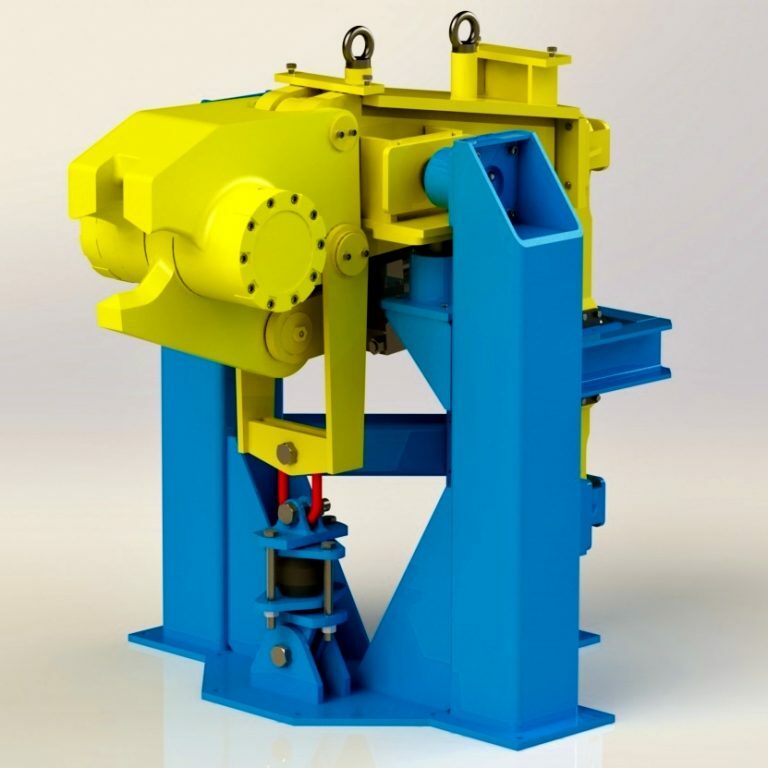 Clansman Powerbreakers solve the problem of cutting and handling gatings in the foundry. Shorter gatings are easier to transport and to remelt. The gating is fed into the Powerbreaker which instantly grips, bends and breaks the gating. Powerbreakers have been in operation since 1995. Sceptical foundrymen will not believe that it can work – but it does! 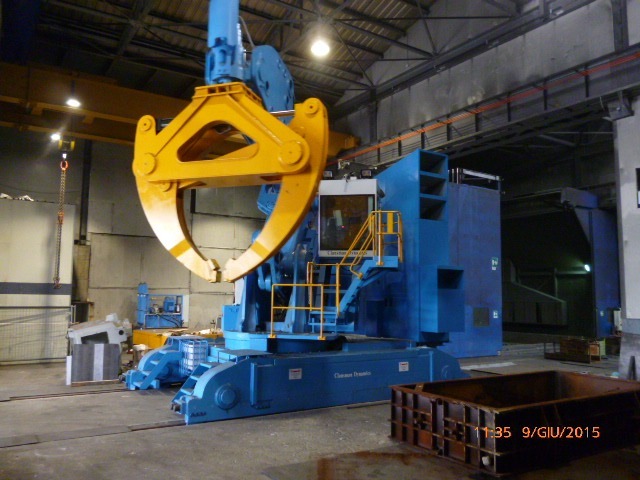 The head of the Powerbreaker is either mounted in a fixed position over a conveyor or scrap box or for maximum productivity on a manipulator as a part of the tooling. The broken pieces are directed safely downwards by the action of the Powerbreaker. Clansman Dynamics have adopted the same careful design approach to our range of Powerbreakers as we have to manipulators. Maintenance is minimal because the machines are specifically designed to withstand the very severe axial and radial bearing loads that are applied as the machine operates. When maintenance is required the modular construction allows the working parts to be easily removed. High alloy castings are used for the 2 working parts of the structure so there is no question of weld problems. The 2 cutting fingers are cast from high steel alloy, heat treated, hardfaced with special weld and then heat treated again. The hardfacing on the fingers has been done on the basis of experience of hot shear blades where it is vital to maintain an edge on the blade. The shock on breaking the gating is absorbed so that it is easier for the operator to make a second cut. The shocks transmitted back to the feeding manipulator are much reduced.